Let awareness build from within the family! Popular celebrities Nusrat Imroze Tisha and Chanchal Chowdhury starred in a public service advertisement for the Ritu project in order to aware people on menstruation. Don’t hesitate to ask us any questions regarding puberty and period. Our experts are always there to provide the right answers for you. Question : আমার নিয়মিত মাসিক হয়।আমি আমার স্বামির সাথে মাসিক হওয়ার ৮ দিন আগে মিলন করি। মিলনের ৮ দিন পর আমার মাসিকহয়। কিন্তু মাসিক হওয়ার ১৩, দিন পর আমার আরও সামান্য রক্তপাত হয়েছে, যা মাসিকের মত রক্তপাত নয়। প্রশ্ন আমার কি কোনো সমস্যা হয়েছে জানতে চাই? Question : Amr ek cousin er boyos 19-20 hbe tar masik niyomito hosse nah dekha jay ek maas tik moto hoilo porer masei date change hoye jasse .30 din par hoye 35 din o hoye jasse. maje majei masik suru hoyar aagei peter moddhe betha suru hoye jay aita ki kono somossa?? Question : স্বপ্ন দোশ কেন হয়? 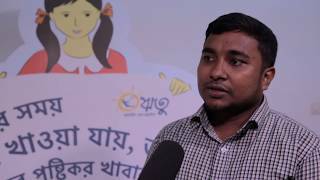 Question : মাসিকের সময় কাল ১০-১২ দিন এর বেশি হলে কোনো চিন্তার কারণ আছে কি? এবং এমতবস্থায় করণীয় কি? Question : amar oniyomito vabe period hoi. kokhono age hoi abar kokhono pore hoi. thik nai somoymoto. abar majhe modde 2 ba 3 mas period hoi na. eta ki kono problem? Question : আমার বয়স ১০ । আমার এখনো হয় না কে??? Take the period poll and vote now to let us know your thoughts. Can I eat sour food during period? 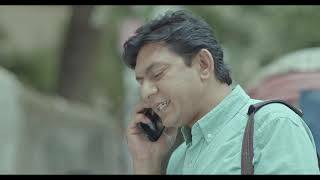 Ritu TVC: Let awareness build from within the family! To build a healthy, strong and developed nation, the role of respected teachers in the community is crucial to ensure the rights of students. This issue was raised in this advertisement. How much the high schools of Bangladesh is in favor of the girls? What do the students, their parents and teachers think about menstruation? Ritu is roaming around the country to find the answers. In this journey, she has her assistant Jewel with her. ‘Best School for Girls’ is a school reality show that finds out the best schools considering menstrual hygiene management. To watch this 13 episodes TV series that is full of fun and edutainment, keep your eyes on every Thursday at 5PM on RTV, at 7PM on Shangshad TV, at 7:30PM on ATN News and on BTV after the English News of 10PM. This is a production under RITU Project. Let’s have fun! The internationally renowned singer and the parliament member of Manikganj-2, MS Momotaj Begum has shared her first menstrual experience. No more shame and hesitation to talk about menstruation. RITU School van roams around different schools of Bangladesh. RITU Team speaks with the students, teachers and guardians about menstrual hygiene management. The aim of the RITU School campaign is to create awareness about menstruation at school level besides knowing thoughts of them about it. This yearlong campaign is going on and will be held at 89 schools of 8 sub-districts of Netrokona district. Around 33 thousand students and 8 thousand teachers and guardians are expected to participate in this campaign. The day of menarche is very different for every girl. The way of experiencing this new thing differce girl to girl. Do a video or write a small write up about your experience of first period and share it with Ritu at RITU’s Facebook page RituKothon . Your story may encourage another girl to come forward and share her story. Through the TV reality show Best School for Girls, we find out the best menstrual friendly school for girls. RITU gives marks in different criteria to the schools. And through this journey Ritu has her assistant Jewel. It’s a 13 episodes edutainment show through which Ritu and Jewel conveys various information about menstrual hygiene management and talk to the school children, teachers and parents to know their thoughts about it. To stay updated like RITU’s Facebook page www.facebook.com/RituKothon. RITU Fellowship will be given to some selected TV and Print media journalists. The journalists will then work proactively to write various news or feature article about menstruation to raise awareness among the mass. The aim of the RITU project is to ensure Menstrual Hygiene Management (MHM). In Bangla, the word RITU is used both for ‘season’ and ‘menstruation’. 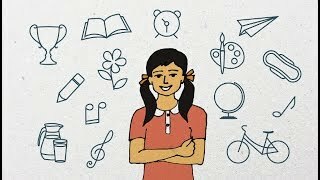 The RITU project is represented through an 11-year old girl character whose name is also ‘Ritu’, and she hopes to inspire others to learn about MHM. Ritu’s parents and siblings is also a part of the journey as well. The average age of menarche of Bangladeshi girls is 12 years and 8 months. The goal of the RITU project is to work primarily with girls of ages between 11 and 13, and inform them about menstruation and its hygienic management at classrooms, especially before they have their first period. It will also benefit girls in the long run to become strong and healthy women of the future. RITU will convey MHM messages in a way that along with the adolescent girls, their parents, siblings, relatives and friends will also get the right information and awareness about MHM. To disseminate this knowledge, we have chosen classrooms as they are a space for students and teachers to discuss openly about periods. RITU project implementation partners are Simavi, an international non-profit organization, RedOrange Media and Communications and TNO. BNPS and DORP are working on the field level. RITU project is supported by The Embassy of The Kingdom of the Netherlands.